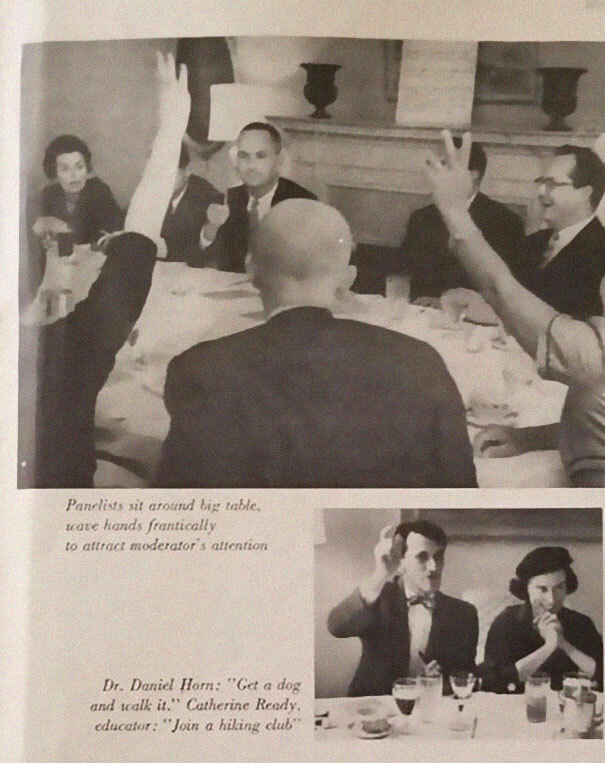 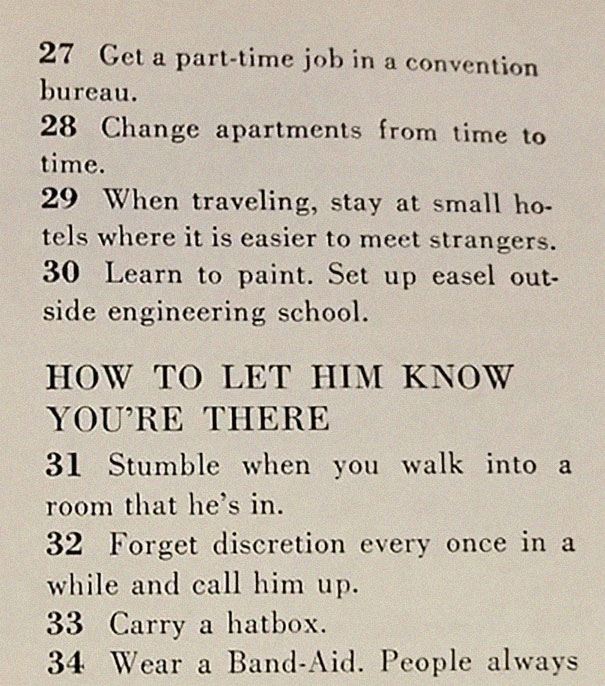 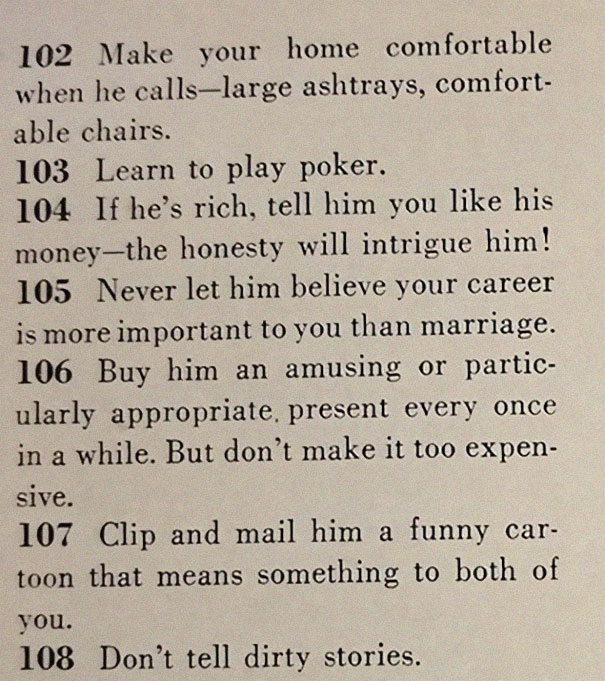 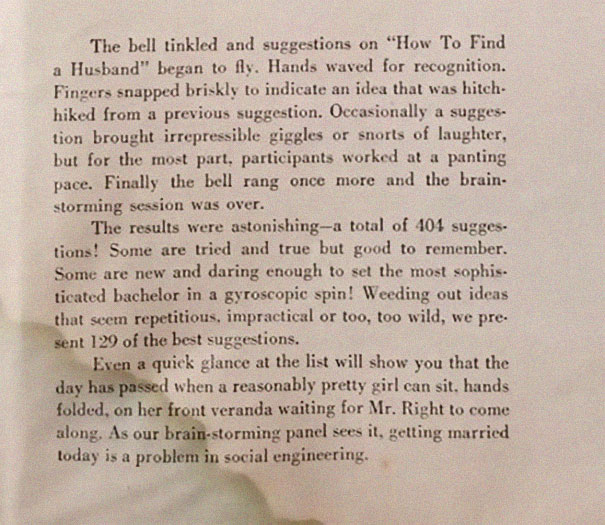 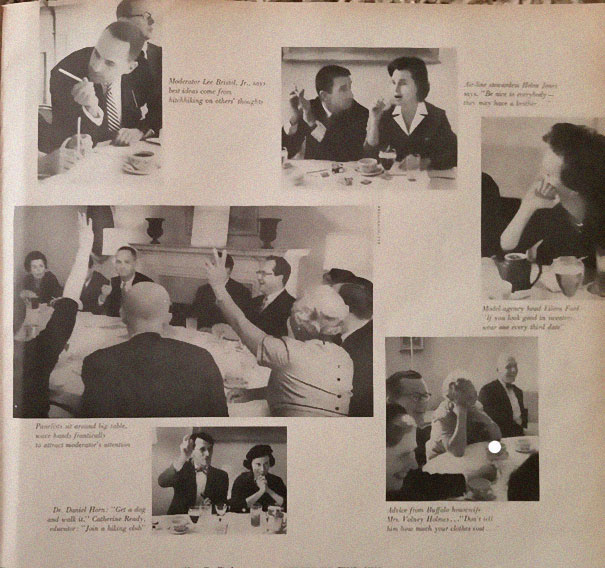 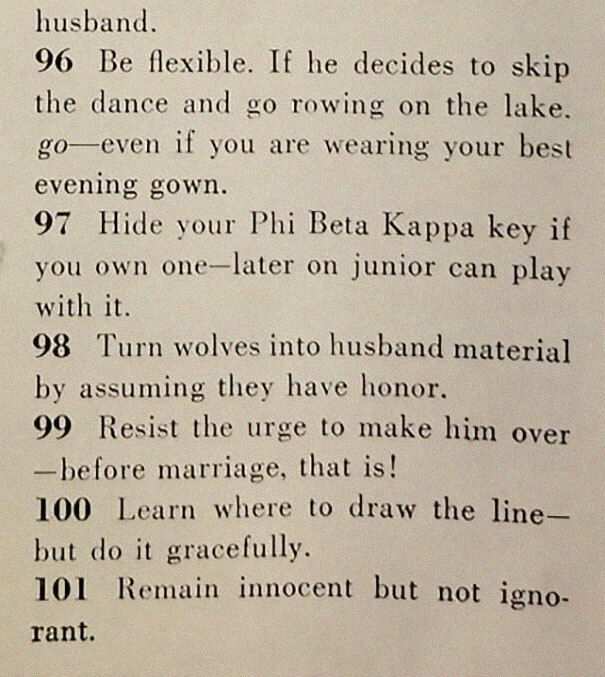 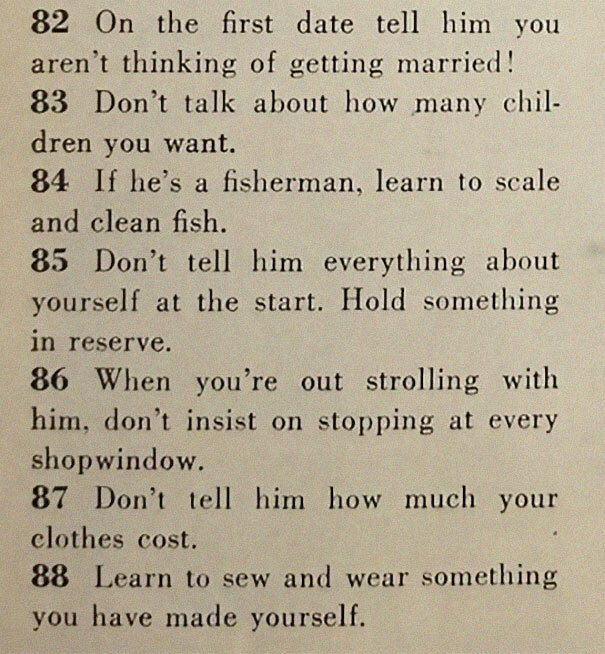 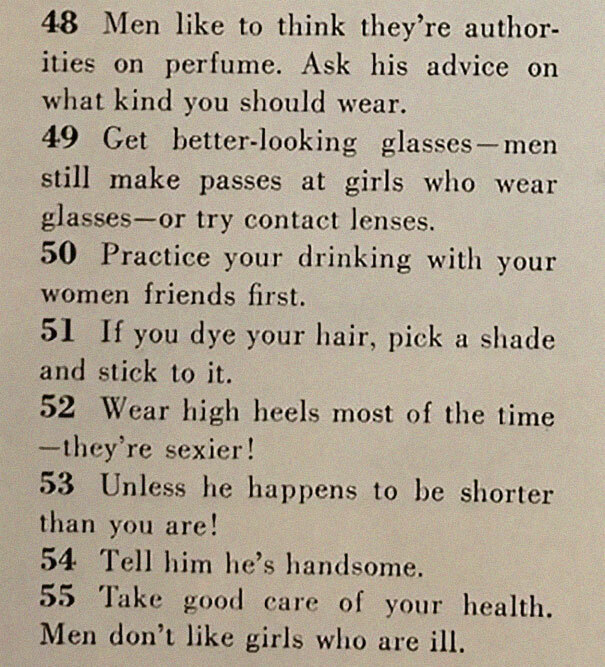 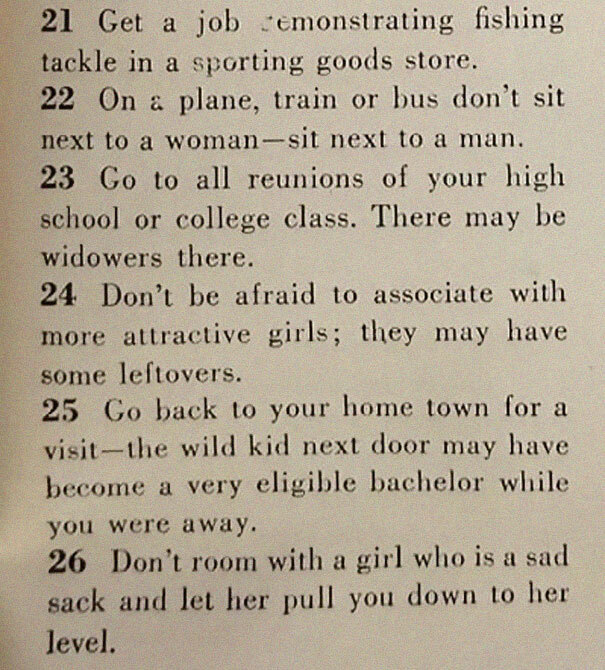 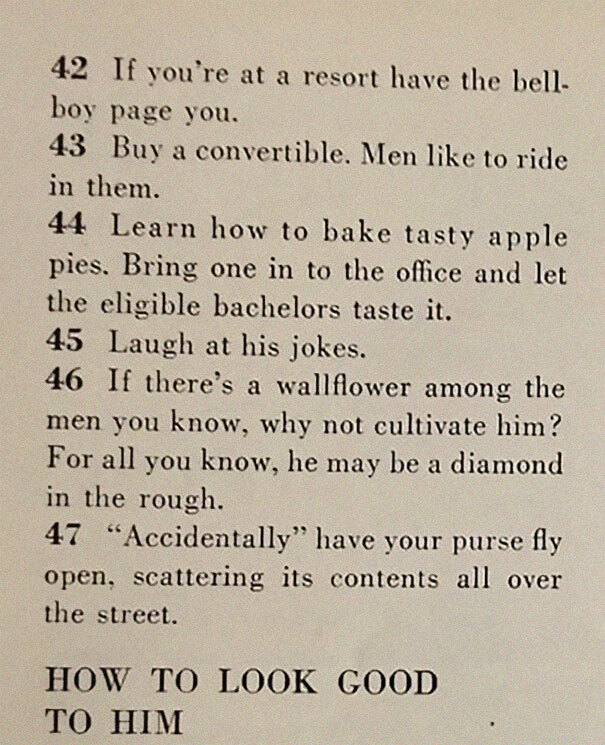 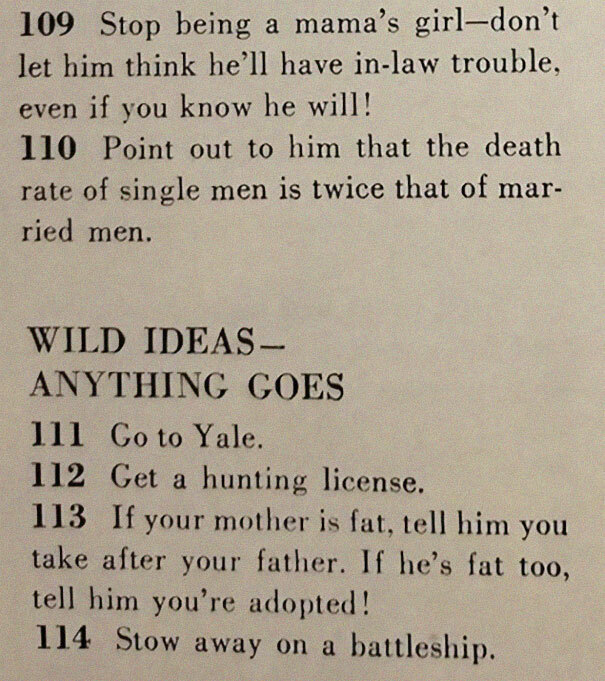 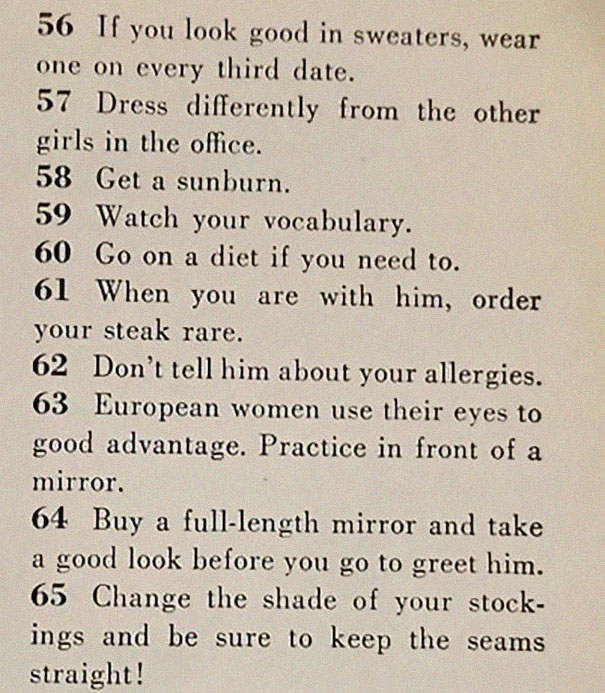 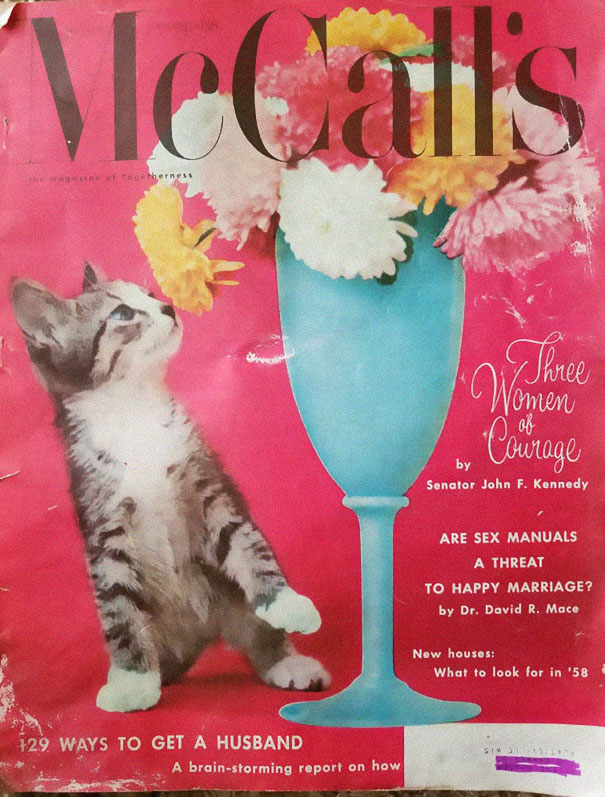 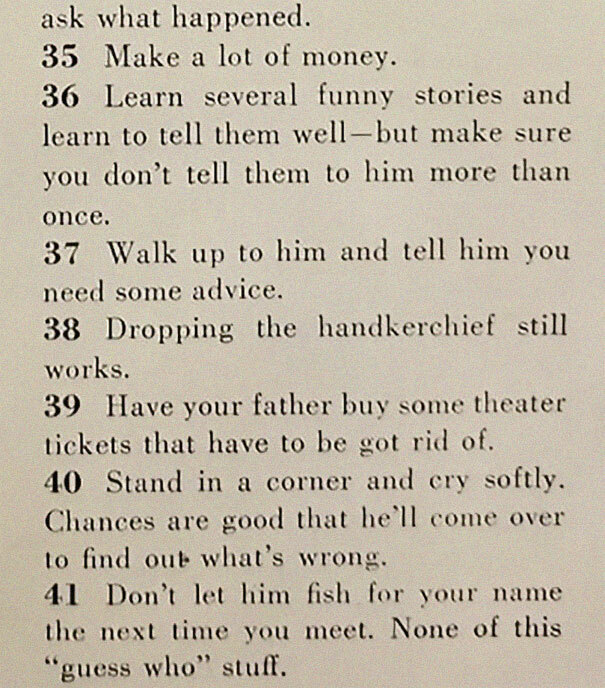 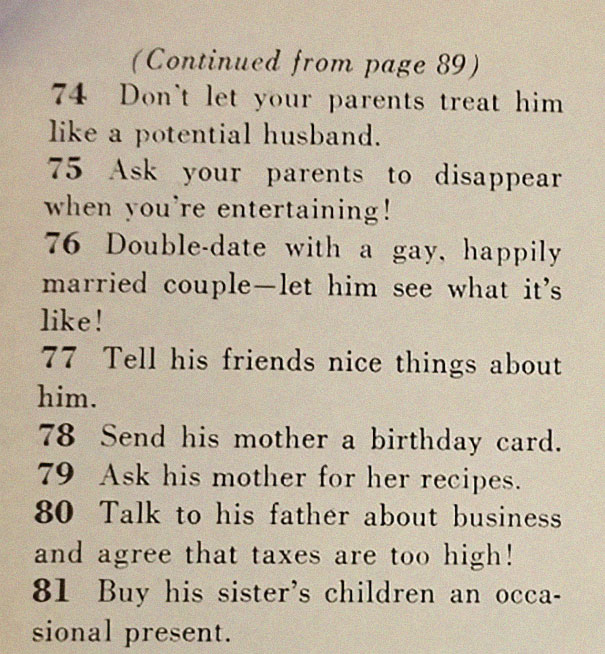 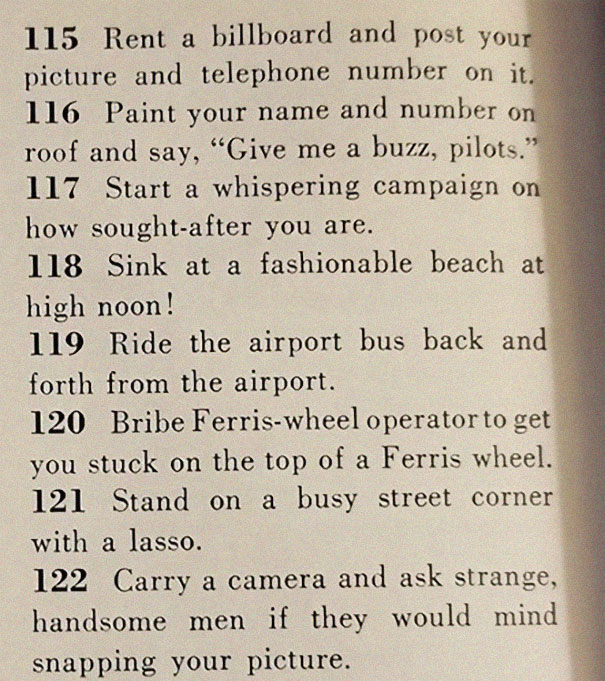 A 1958 magazine article on ‘how to get a husband’ has resurfaced over the internet! 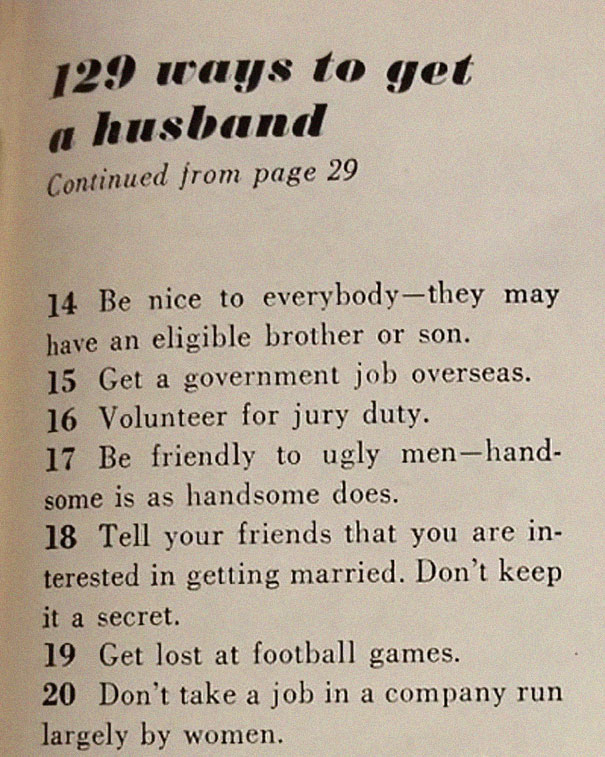 The American magazine’s article, titled “129 Ways to Get a Husband” is a cringe-worthy article that advises women on how to get the perfect husband. 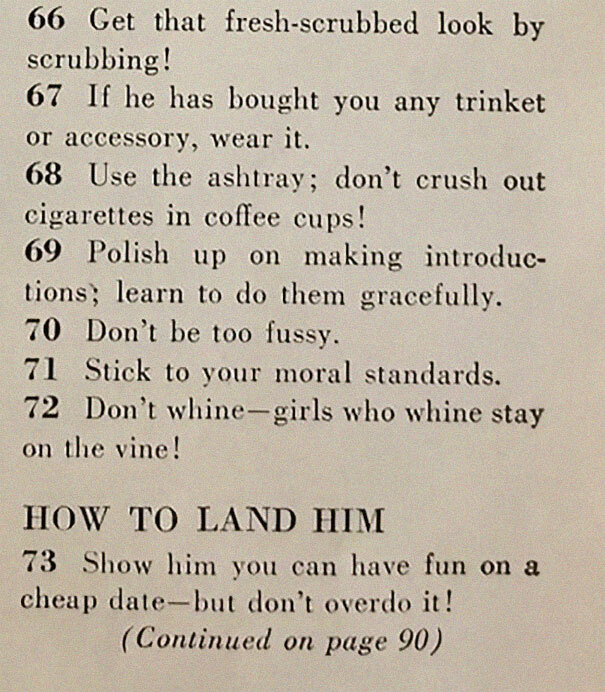 The article triggered a frenzy across social media because of its outrageous instructions. 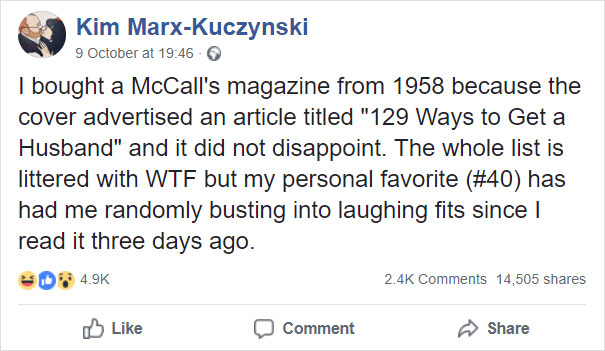 The article is bizarre and downright desperate. 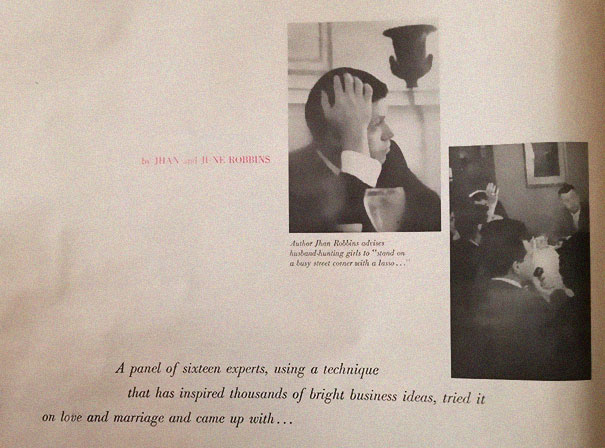 This feature was created with the help of 16 people, using a technique that has inspired thousands of business ideas. 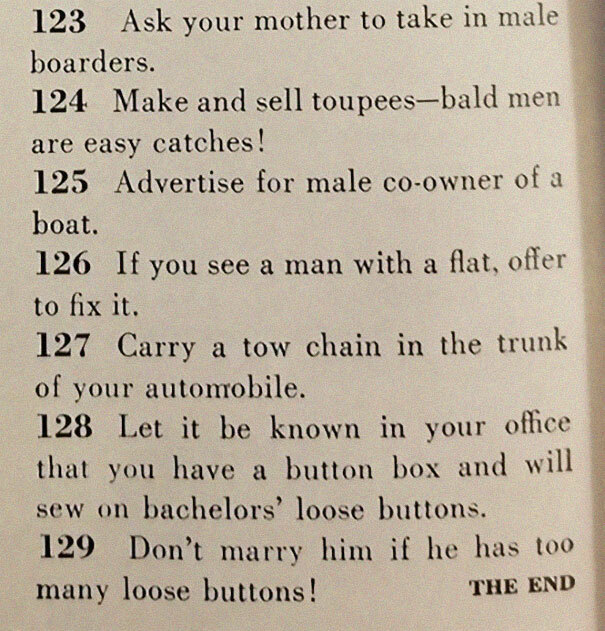 This is how the list was created. 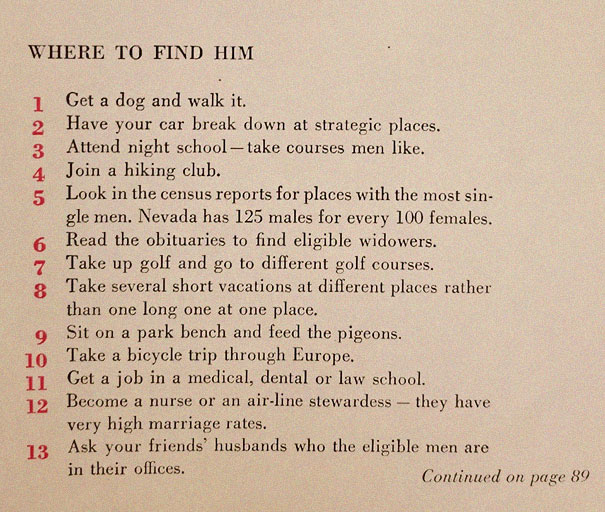 Well, it seems like finding a man is not for the faint of heart. 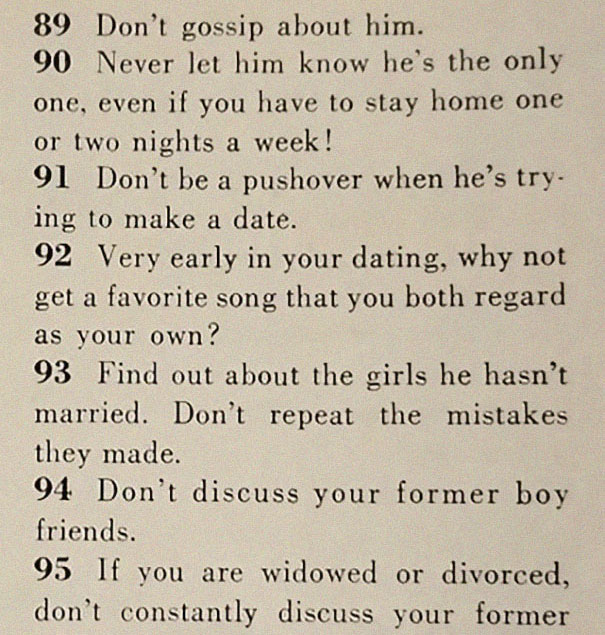 So, it looks like we’re doing a lot wrong! 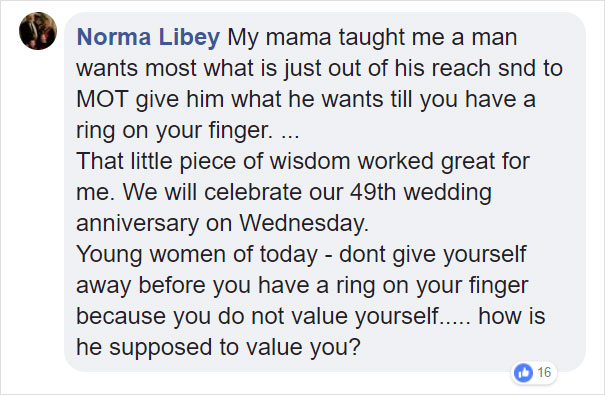 Tell us what you think of this in the comments below.